There are no set itineraries, no large groups, and no two journeys the same. 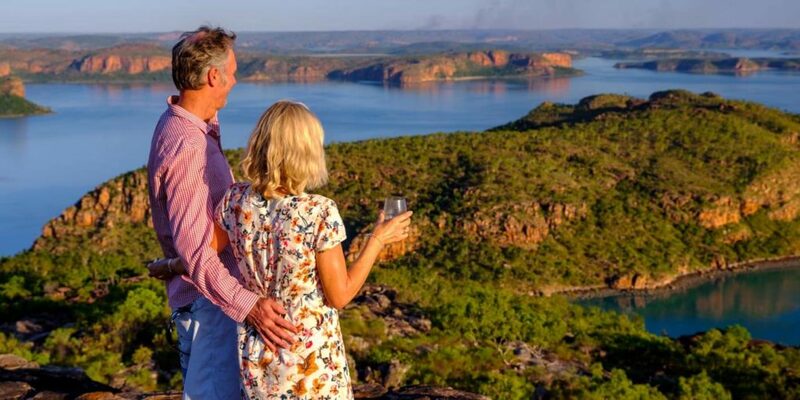 There are few people who know the seductive secrets of The Kimberley like The Great Escape Charter Company, now celebrating two decades of unbelievable Kimberley adventures. A small local business, the company prides itself on a relaxed, down-to-earth and fun yet professional team, unified by a passion for what they do and the experience they provide for their guests. This is not a “cruise” in the traditional sense. 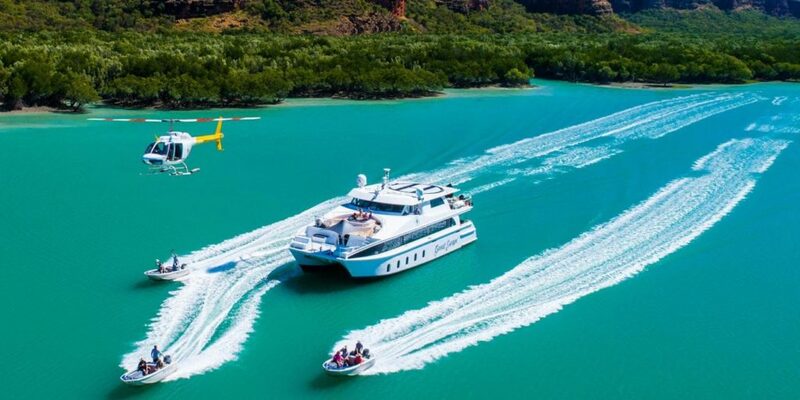 Instead, The Great Escape Charter Company understands that true luxury comes with small group sizes and unique experiences. As such, there are no set cruise itineraries; guests form part of the team and help to decide what experiences await them each day. The day’s activities are also adjusted to guests’ preferences, whether hiking on foot or taking to the skies on a heli-excursion. 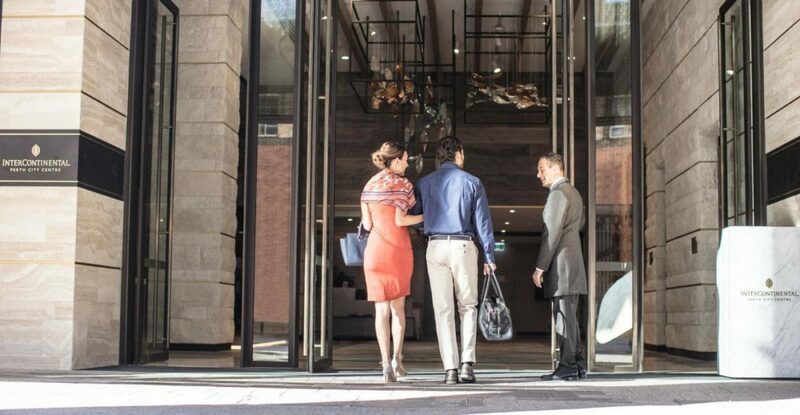 Exclusive charters are available, and with this, greater flexibility around destinations visited. 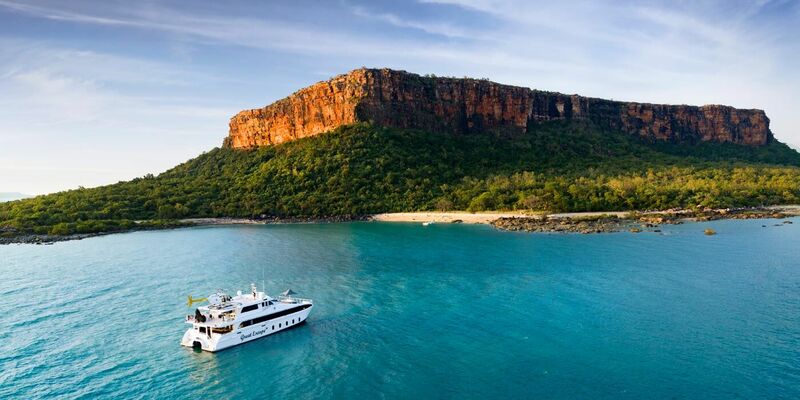 Stylish accommodation, gourmet cuisine and the warmest hospitality combine to ensure you have the holiday of a lifetime aboard the newly refurbished, custom-built 26-metre luxury catamaran, with only 14 guests, three expedition tenders and a dedicated onboard helicopter. 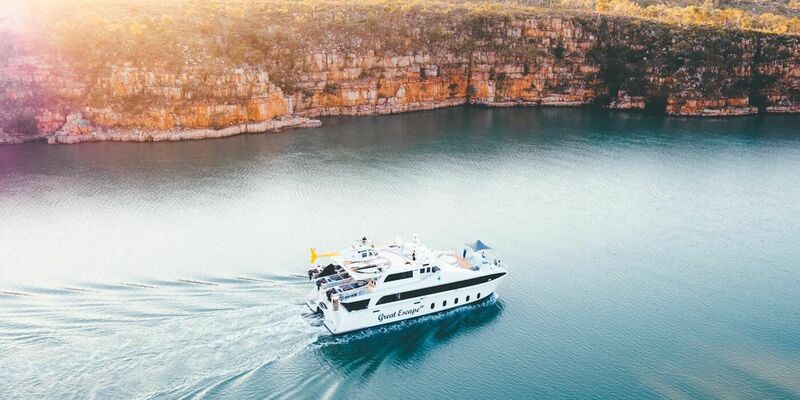 Explore cascading waterfalls, towering gorges, ancient Aboriginal rock-art galleries, rockpools and reefs, and experience pristine landscapes as you cruise the Kimberley coast between Broome and Wyndham, the Rowley Shoals and beyond. This is your opportunity to escape from the ordinary. The reward you deserve. 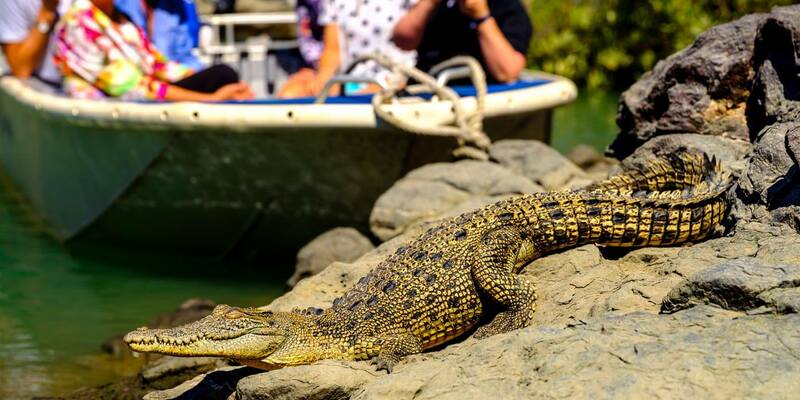 For more information email hello@greatescapecruises.com.au, call +61 8 9193 5983 or visit the website.